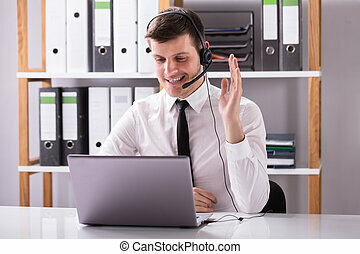 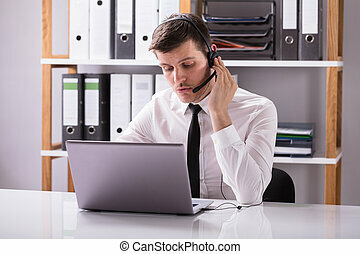 Close-up of a businessman checking invoice over desk. 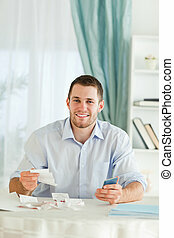 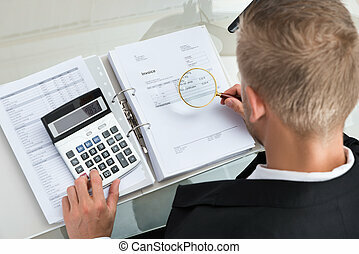 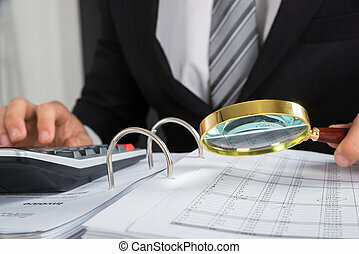 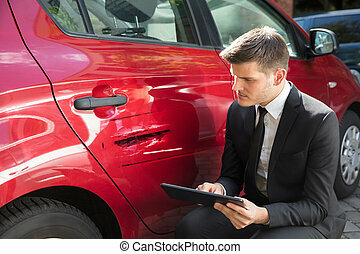 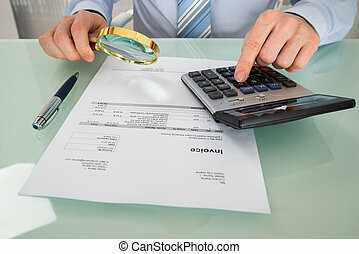 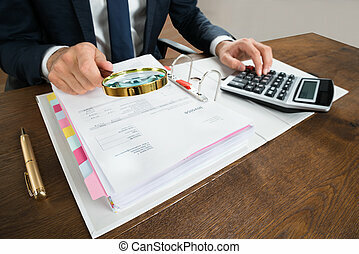 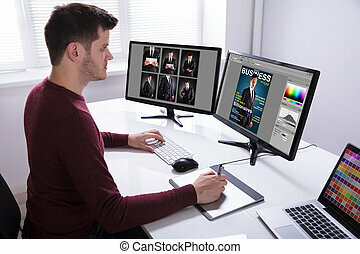 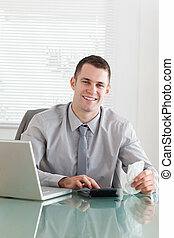 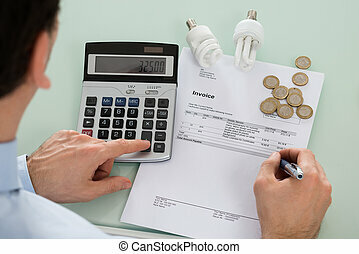 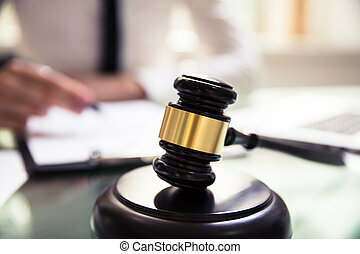 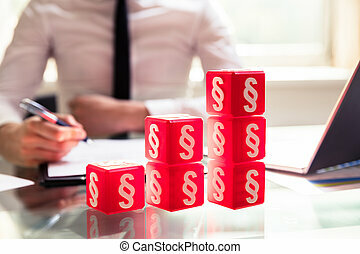 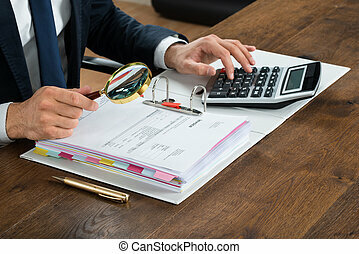 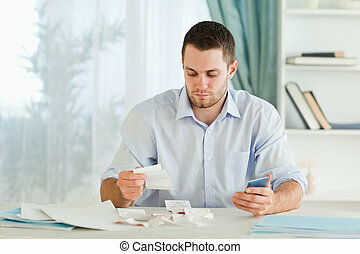 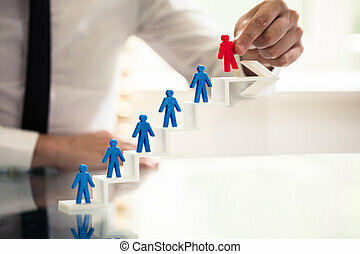 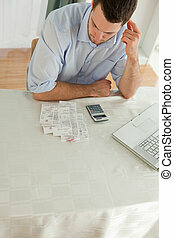 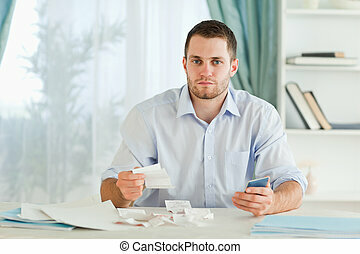 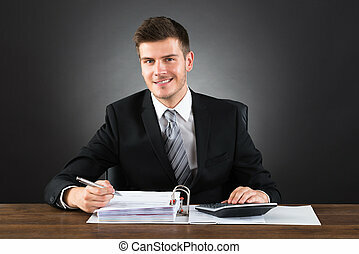 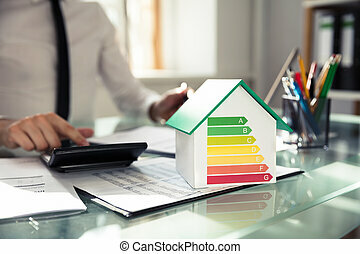 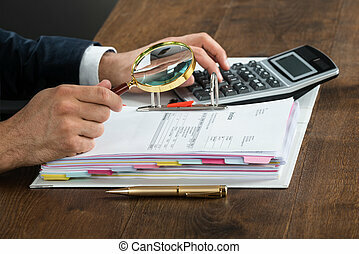 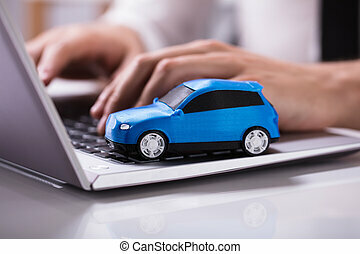 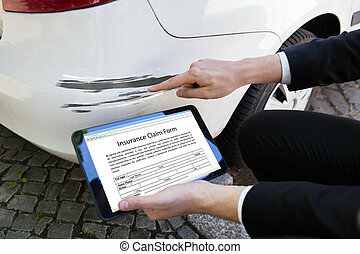 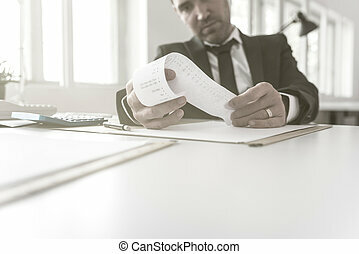 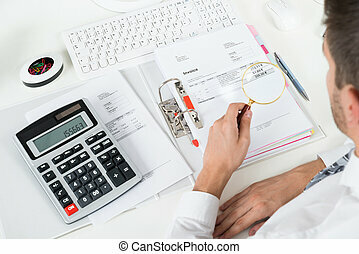 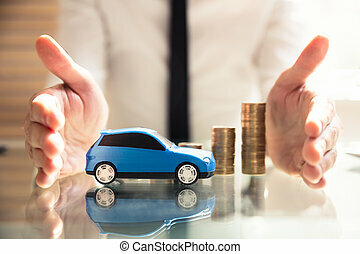 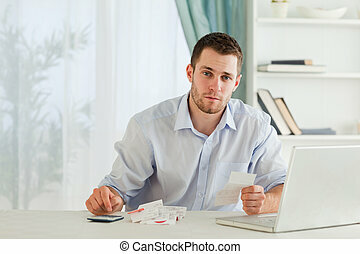 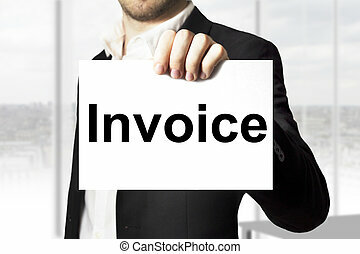 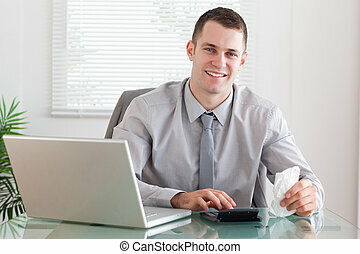 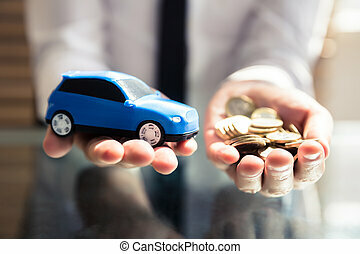 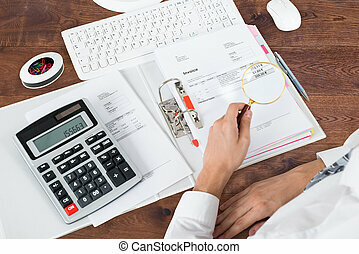 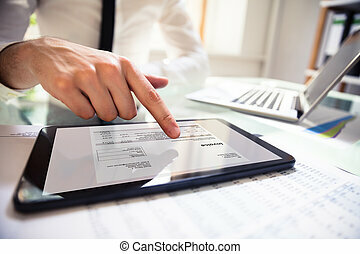 Businessman is checking financial documents. 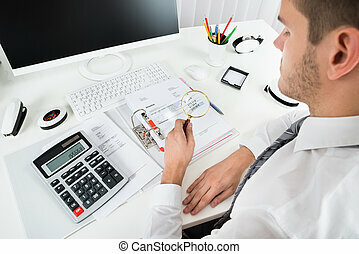 Paperwork in office. 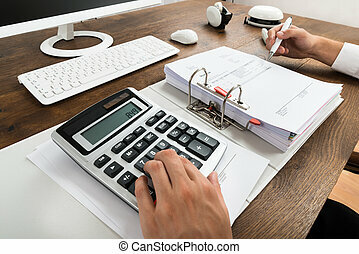 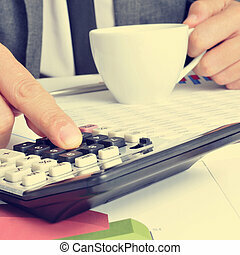 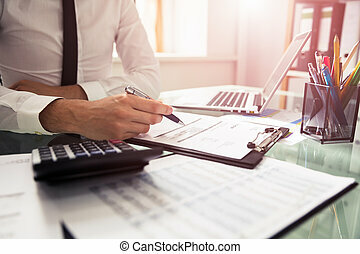 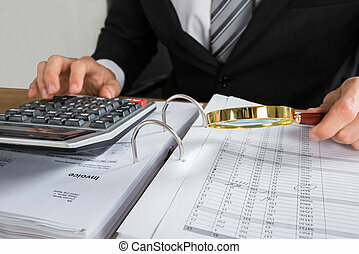 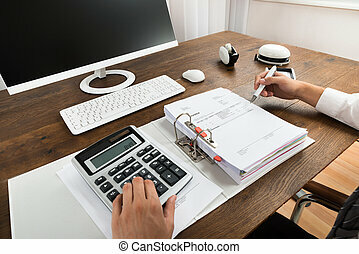 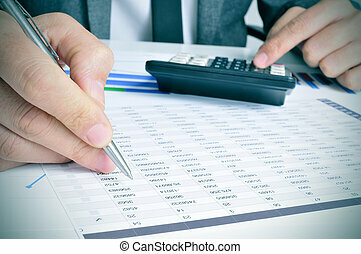 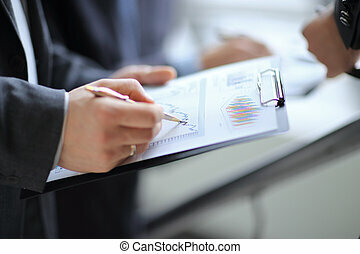 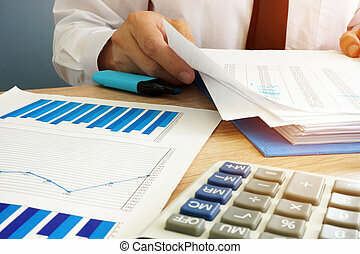 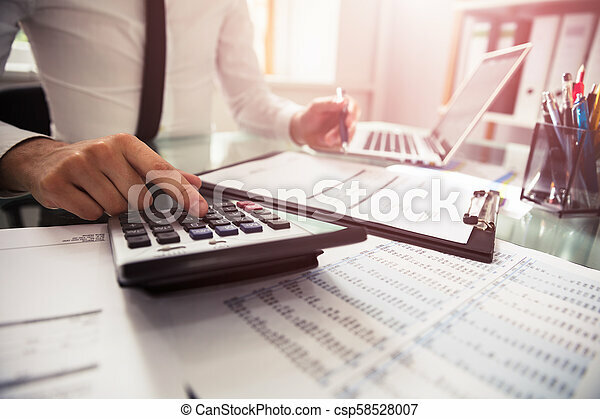 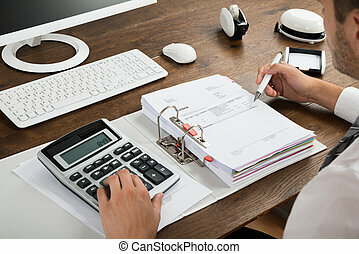 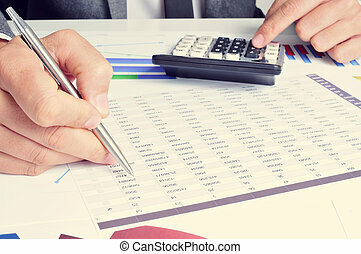 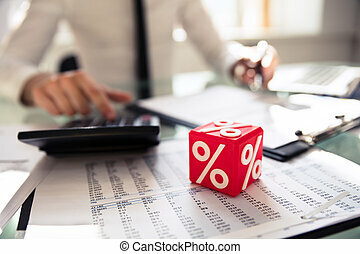 businessman at desk checking a financial report and pointing at a bar chart with a pen.